Howell & James: Sunflowers. Exhibited at the Howell & James exhibition in Regent Street in 1883. With their label. 41.5cms diameter. Unfortunately the exhibitor’s name is indistinct apart from ‘Miss’, although it is possibly M. E. Robinson. 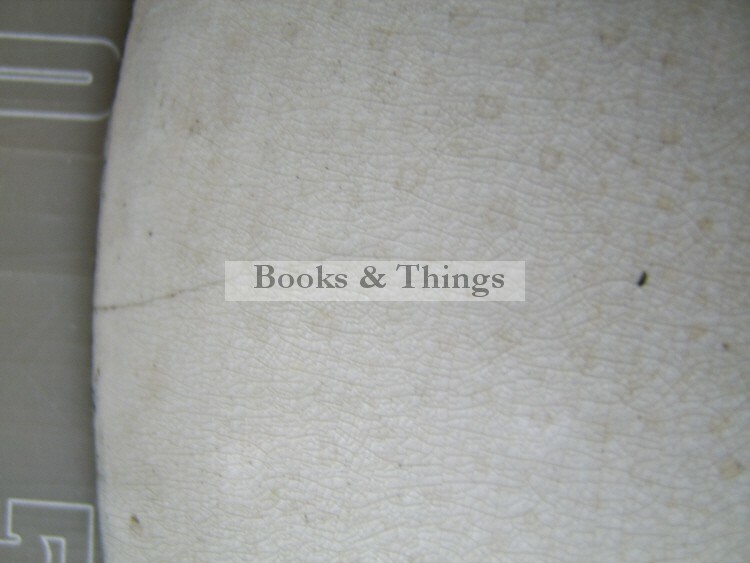 There is also some numbers, possibly a catalogue number. 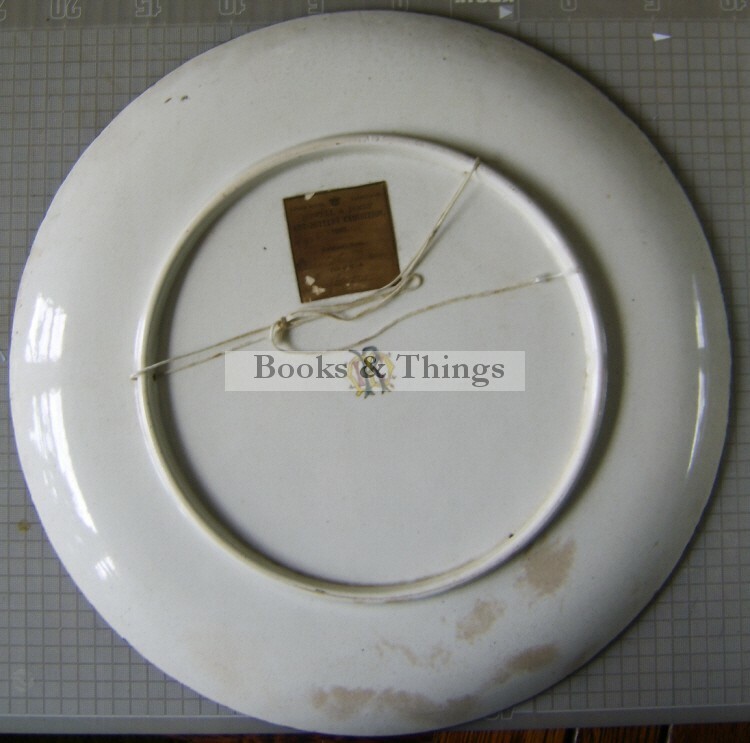 The plate is monogrammed with what looks like ‘R’, ‘M’ & ‘E’. 5cm rim hairline crack and some staining to underside. Three ‘hanging’ holes in base rim. 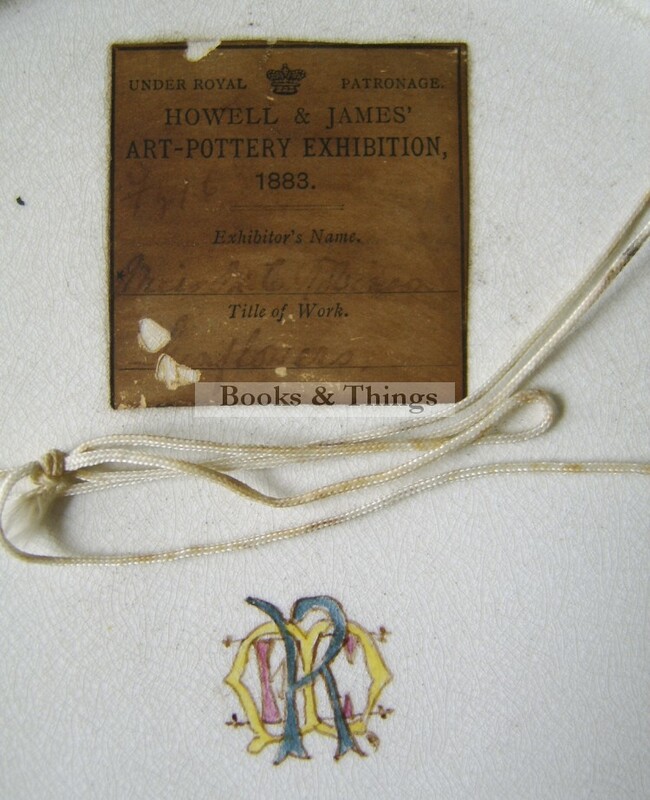 Howell & James held annual exhibitions of ceramics decorated by women. Sunflowers are one of the quintessential motifs of the Aesthetic Movement. Category: Designer Ceramics. 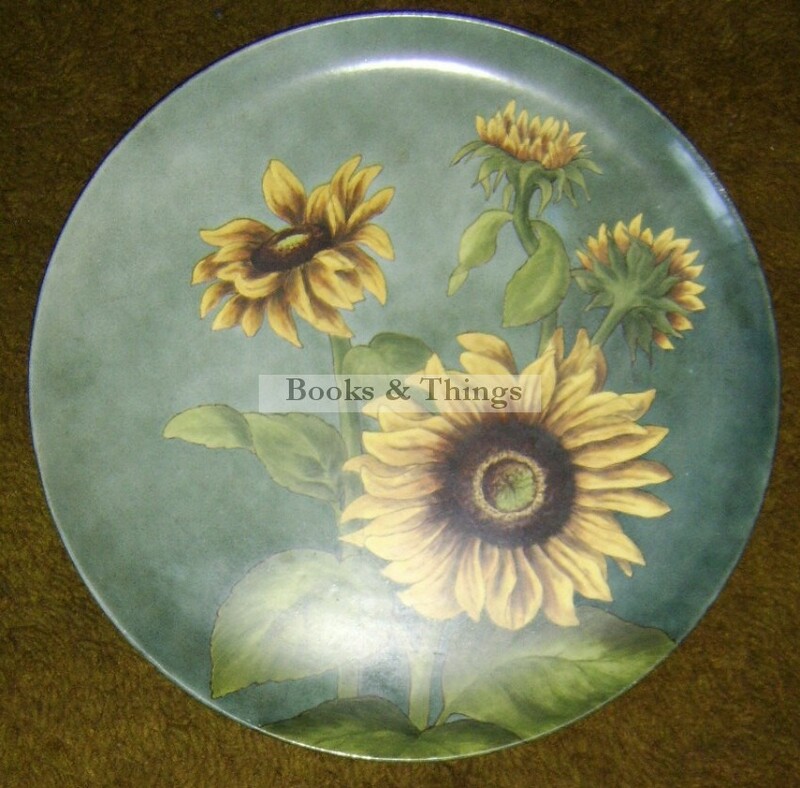 Tags: Howell & James Ltd plate, Howell & James plate, Howell & James Sunflowers plate.